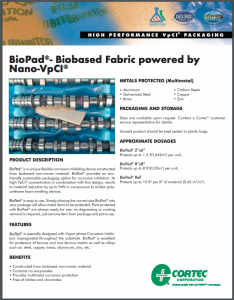 Bio-Pad® is a flexible corrosion inhibiting device constructed from biobased non-woven material. 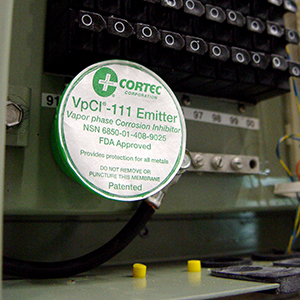 It provides an extra-strength source of VpCI® for corrosion protection of large volumes. 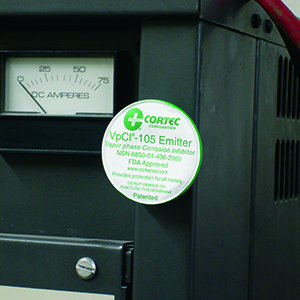 Bio-Pad® 2” x 6” protects up to 1.5 cubic feet (42 L) per unit. 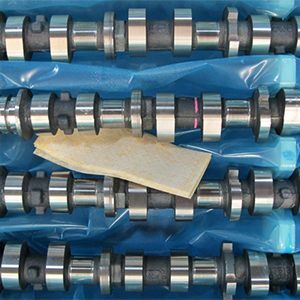 Bio-Pad® 8” x 8” protects up to 8 cubic feet (0.23 m3) per unit. 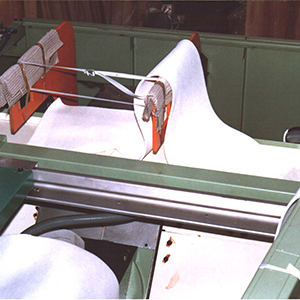 Bio-Pad® roll protects up to 15 ft3 per ft2 of material (4.5 m3/m2).